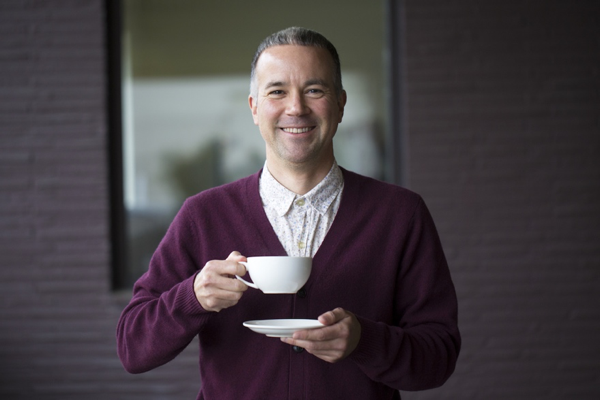 We are delighted to introduce you to our new head teamaker Ravi Kroesen. Ravi is a true Smith—a tea tradesman whose journey to finding tea was unexpected. Just as with Steve, tea found him. Born in New Hampshire, Ravi moved to India at the young age of 10 where he lived and went to school for 7 years. It was there over daily cups of chai in the hill tops of Mussoorie that his relationship with tea began. When Ravi returned to the U.S., he moved to Portland to be closer to family and found tea again. While pursuing a budding music career, he found a job organizing a warehouse of teas and botanicals for a local tea shop where he tasted through 100 plus single origin teas and solidified his love of the craft. This set him on an incredible journey through the tea trade, during which he worked his way up from warehouse manager to tea buyer to teamaker, contributing to coveted premium tea brands across the country and traveling the world developing an exceptional palate. Ravi speaks Hindi (street Hindi as he calls it) and Mandarin, and is a well-respected member of the tea community, sitting on the board of the International Specialty Tea Association (ISTA) where he helps define world standards for our industry. We are delighted to welcome him to the family and watch him continue the incredible legacy of our Smith tea department.